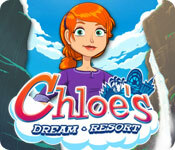 Fix up the Dream Land Resorts and scare away the monsters that are terrifying the customers in Chloe’s Dream Resort! Reopen a ski lodge, a beach hotel, and even a grand casino in this exciting Time Management game. Help your customers ski, surf, dance, and even learn magic tricks. Save the Dream Land Resorts and turn a tidy profit in Chloe’s Dream Resort! Fix up the Dream Land Resorts! Discover the secrets behind a magical deck of cards in Haunted Legends: Queen of Spades! Find The Countess and stop her curse! Track down an incredible jewel in Jewel Quest – The Sleepless Star! Help Percy Park on an epic quest through two continents!